The twin satellites TerraSAR-X and TanDEM-X fly in close formation only a few hundred metres apart, capturing data for digital elevation models. The global TanDEM-X elevation model covers the Earth’s entire land surface and was completed in 2016. The 90-metre grid spacing version is now freely available for scientific purposes. 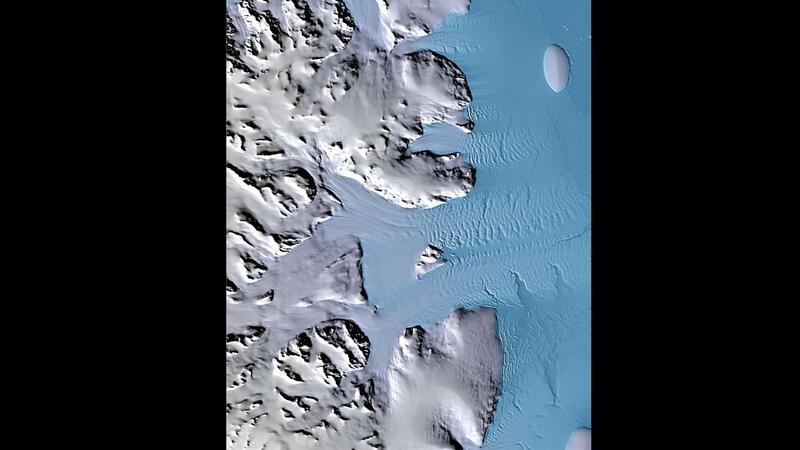 TanDEM-X digital elevation model of Palmer Land on the Antarctic Peninsula. This section shows the coast to the Weddell Sea. 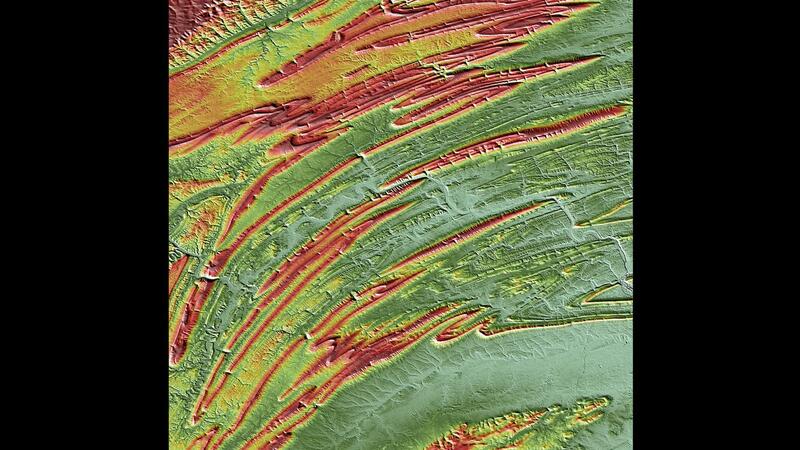 Detail from the TanDEM-X elevation model of the northern Appalachian Mountains in the US state of Pennsylvania. 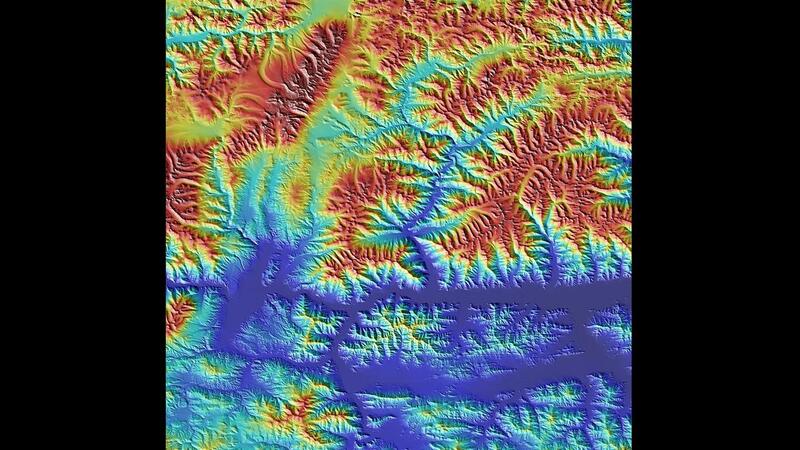 Detail from the TanDEM-X elevation model of Tibet in the Himalaya. The city of Shigatse lies in the dark blue depression on the right-hand side of the image. Detail from the TanDEM-X elevation model of the Sahara, showing part of the Tamanrasset province of central Algeria. 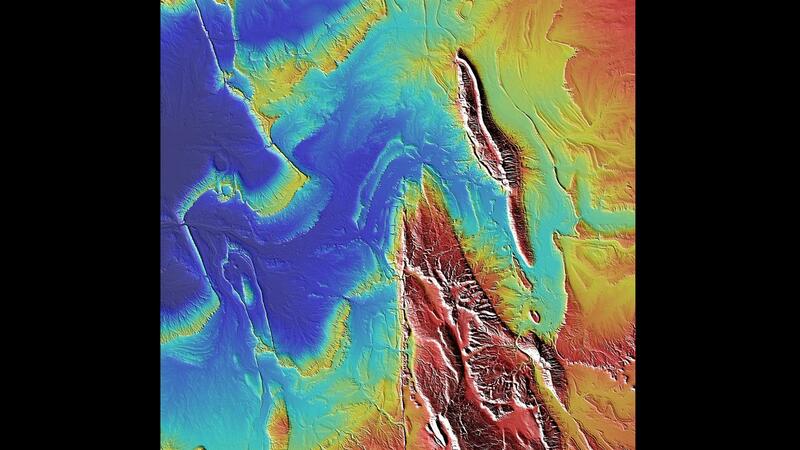 The 90-metre TanDEM-X Digital Elevation Model has been released for scientific use and is now available as a global dataset. By providing this data, the German Aerospace Center (Deutsches Zentrum für Luft- und Raumfahrt; DLR) follows the EU data policy under the Copernicus Earth observation programme, which encourages free and open access to satellite data. When on 21 June 2010, the TanDEM-X radar satellite was launched to space, its 'twin' TerraSAR-X had already been in Earth orbit since 15 June 2007. Since then, the two German radar satellites have been recording Earth flying in close formation. As they fly over Earth, both satellites 'see' the same land area, but from slightly different perspectives. The signal reflected by the ground arrives at the satellites with a small time offset due to the different range. This range difference is recorded interferometrically with millimetre precision. To calculate exact heights, multiple images of the Earth’s entire land surface had to be taken between 2011 and late 2015. The distance between the twin satellites varied between 500 metres and, on occasion, just 120 metres. This made the creation of a Digital Elevation Model (DEM) of the Earth’s surface on DLR computers in Oberpfaffenhofen. The full-resolution data, with a horizontal sampling distance of 12 metres, also allowed the creation of versions with reduced resolutions of 30 metres and 90 metres respectively. While access to the 12- and 30-metre elevation models is subject to restrictions due to the potential for commercial exploitation, and thus requires a scientific proposal, the 90-metre DEM is now available on a DLR server and can be downloaded free of charge for scientific data use. The TanDEM-X DEM covers all of Earth’s land surfaces, totalling over 148 million square kilometres. The absolute height accuracy is one metre. 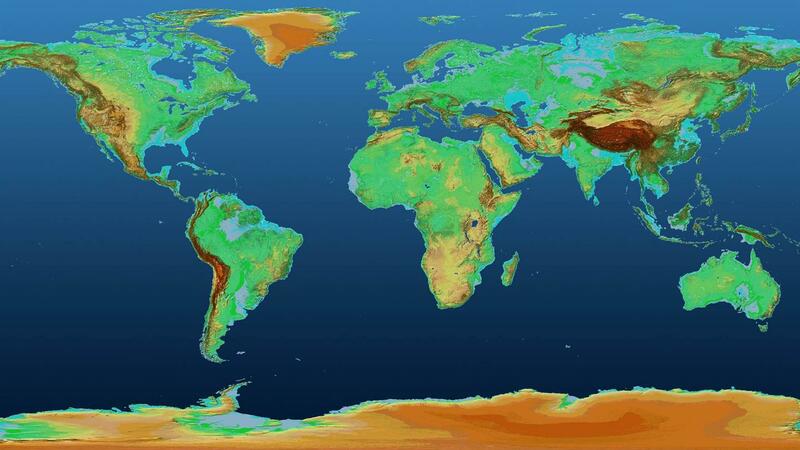 This 3D image of the Earth was completed in September 2016 and is approximately 30 times more accurate than any other global dataset. The elevation models generated with TanDEM-X and TerraSAR-X also have the advantage of being the first to capture the Earth with uniform accuracy and no gaps. "Given that we are offering free, straightforward access to the 90-metre TanDEM-X DEM, we expect several hundreds of thousands of downloads in the coming months for applications in Earth, hydro and environmental sciences, as well as infrastructure planning and remote sensing," says Alberto Moreira, Director of the Microwaves and Radar Institute. The contact for commercial users continues to be Airbus Defence Space. In total, over 2400 scientists from 70 different countries are working with the radar data from TanDEM-X and TerraSAR-X. The digital elevation models can be used to create topographic maps, but also to monitor land use and vegetation, collect hydrological information such as drainage paths or soil moisture, and observe polar ice caps or glaciers. The two satellites continue to fly in close formation and acquire images of Earth to detect topographic changes that have occurred as a result of earthquakes or in glaciers, permafrost regions, agricultural areas or urban zones, to give but a few examples. TerraSAR-X and TanDEM-X are still functioning flawlessly after 11 and eight years in orbit respectively, and have long surpassed their nominal lifetime of 5.5 years. "The quality of the data from TerraSAR-X and TanDEM-X is still excellent, with both radar instruments working just like they did at the start of their mission. Given their remaining fuel resources and good condition of the batteries, it seems likely that they will continue to operate beyond 2020," explains DLR Mission Manager Stefan Buckreuß. 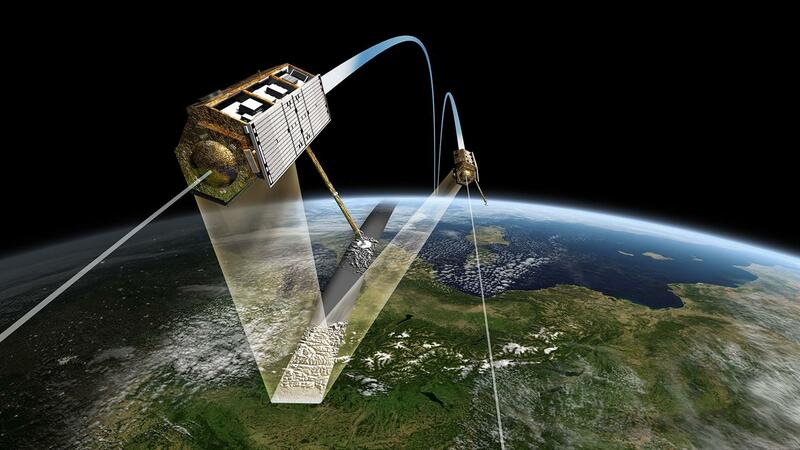 DLR already has plans for a possible follow-up mission: the Tandem-L mission concept envisages two radar satellites operating in L band (23.6 centimetre wavelength) and is intended to capture dynamic processes occurring on the Earth's surface. The aim of Tandem-L is to map the Earth's landmass on a weekly basis. "The mission would set new standards in the field of Earth observation, monitor global change with an unprecedented level of quality and give us the possibility to offer important recommendations for action," stresses Alberto Moreira. Such new technology would enable the three-dimensional mapping of vegetation and ice regions, as well as the large-scale measurement of deformations with millimetre precision.